A super cosy retreat, the Baldachin Snow White Children’s Bed Canopy create a fun fairytale-like environment in your child’s bedroom. This hanging tent can be a castle, a spaceship, a reading nook, but also a great decoration for your house. Perfect as a playground for children, this fabulous children’s canopy is perfect for creating a magical place to sleep, read or play. 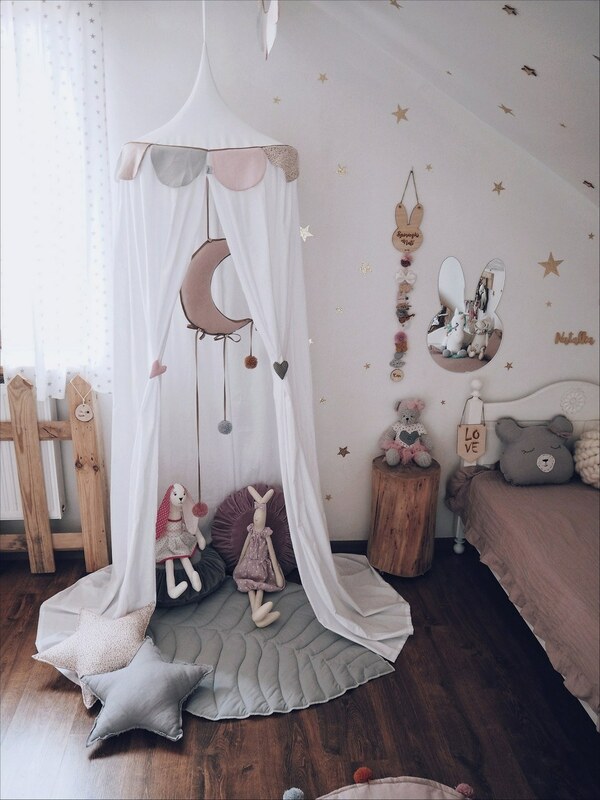 Hang it over your child’s bed for a truly enchanting bedroom. 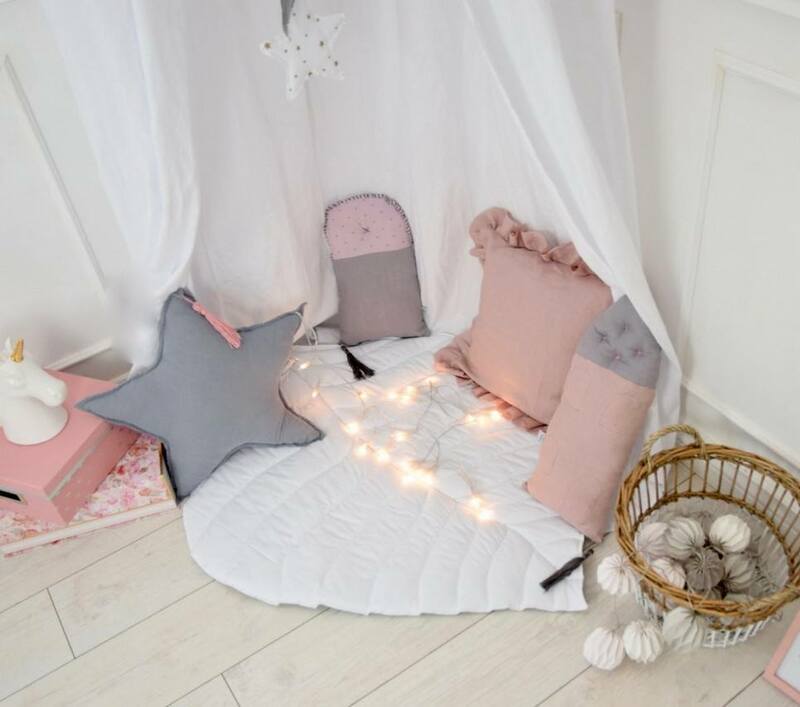 Or team it with the matching play mat to create a cosy den. 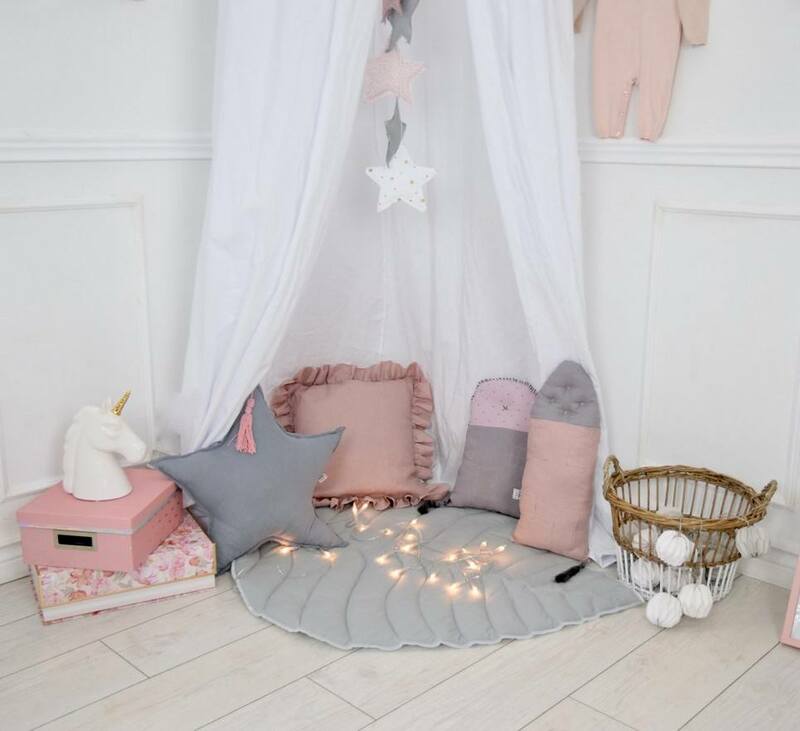 Softly padded and luxurious it’s perfect for babies tummy time and little one’s playtime. The must-have accessory for a real princess room! 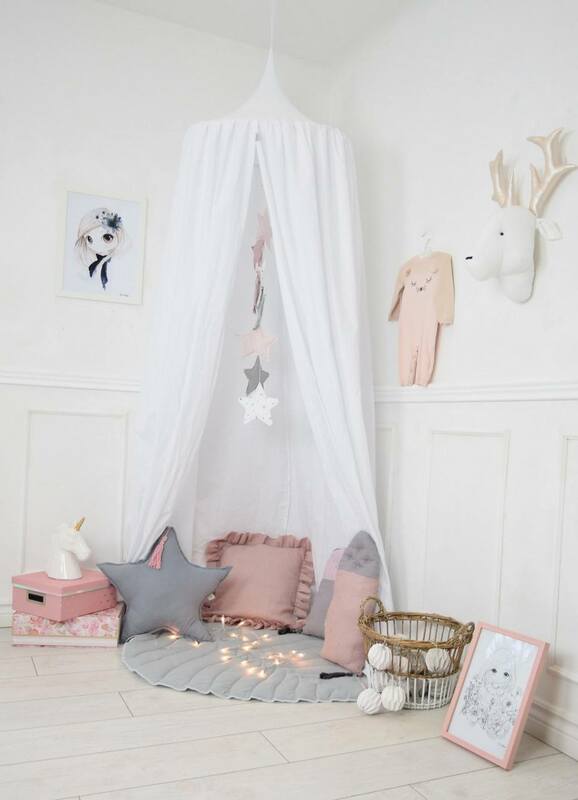 Little ones will just love this canopy curtain. 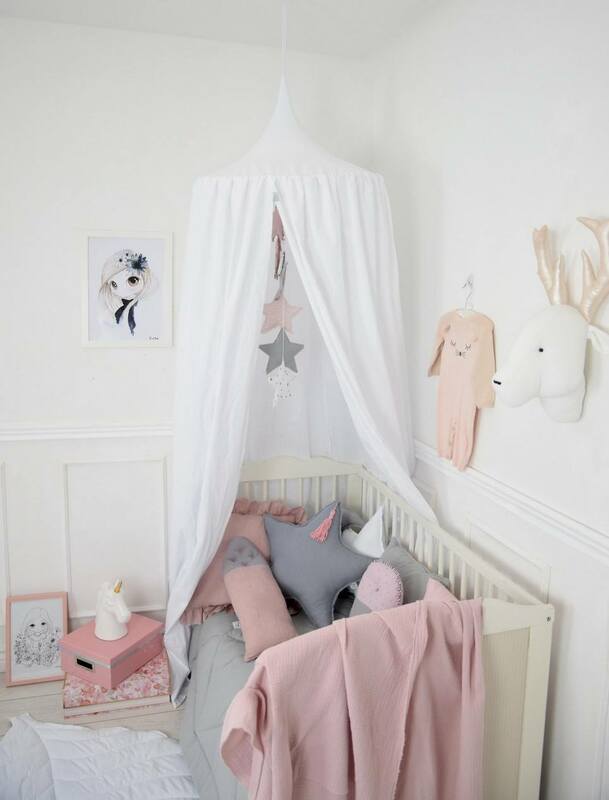 Not only does the kid’s canopy for the crib look elegant and stylish, but it also provides calmness and security around the child. 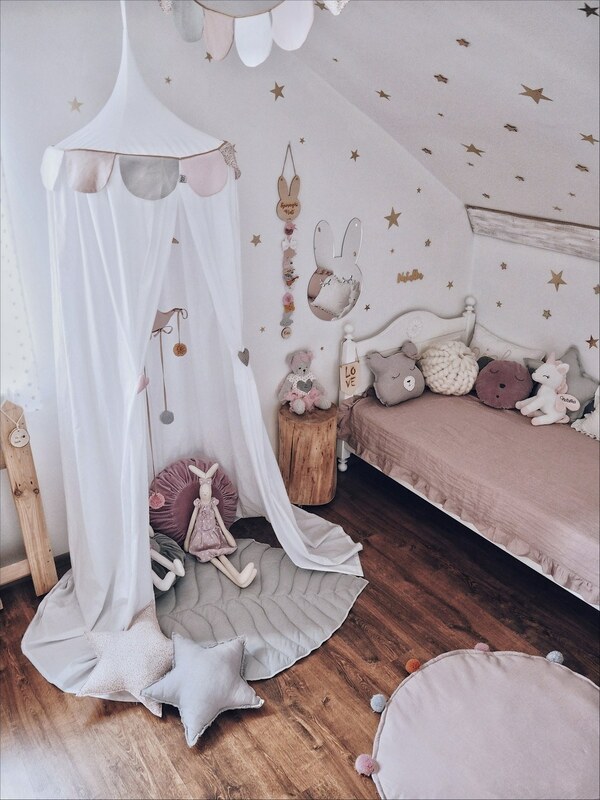 A magical space with whimsical charm, this hanging canopy offers a calming hideaway or reading nook and can be adorned with blankets and cushions creating the ultimate luxe playspace. 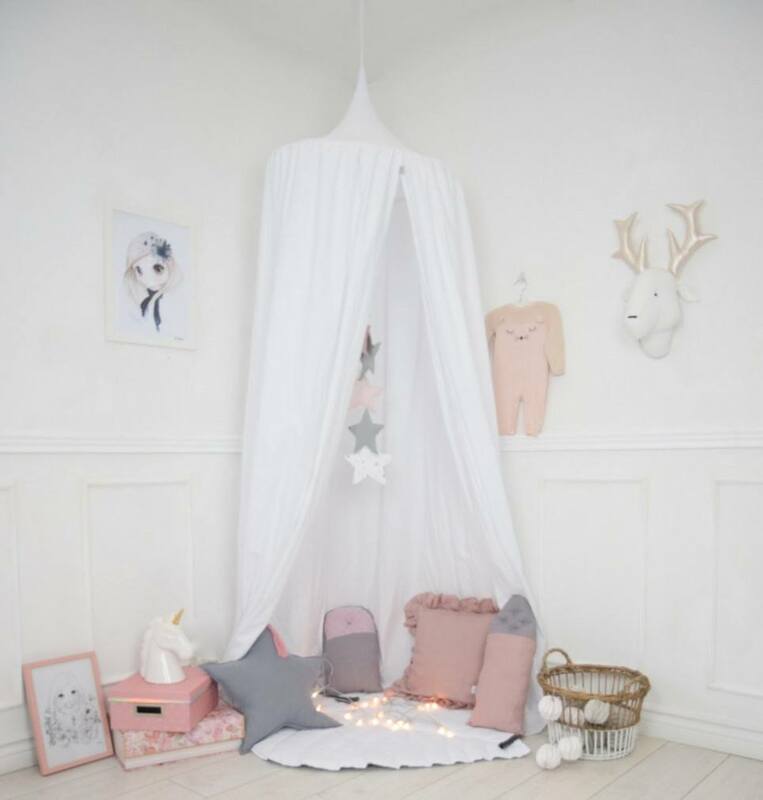 This stunning hanging play tent is a wonderful addition to a child’s bedroom or nursery. 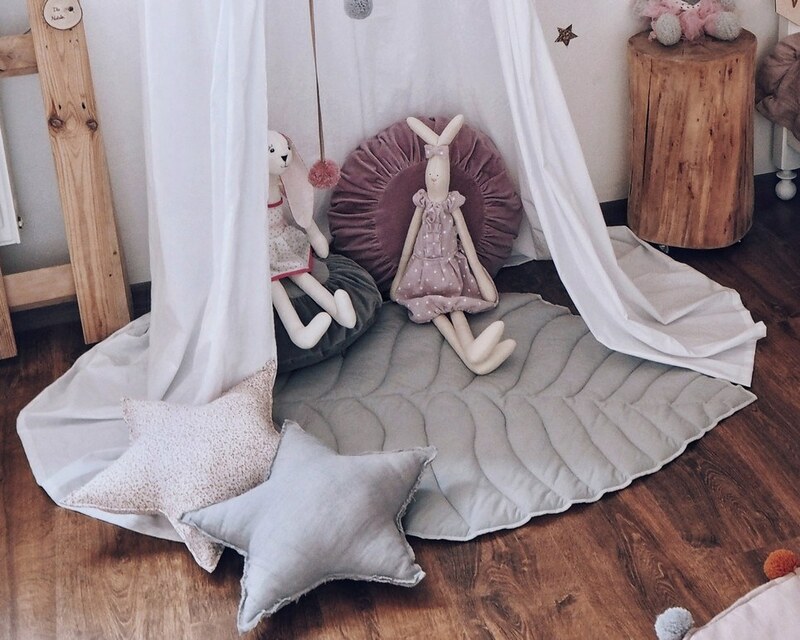 Made from organic cotton muslin the floaty nature of the play canopy makes it perfect for draping over a bed. It can be mounted both on the ceiling and on the bracket attached to the wall. 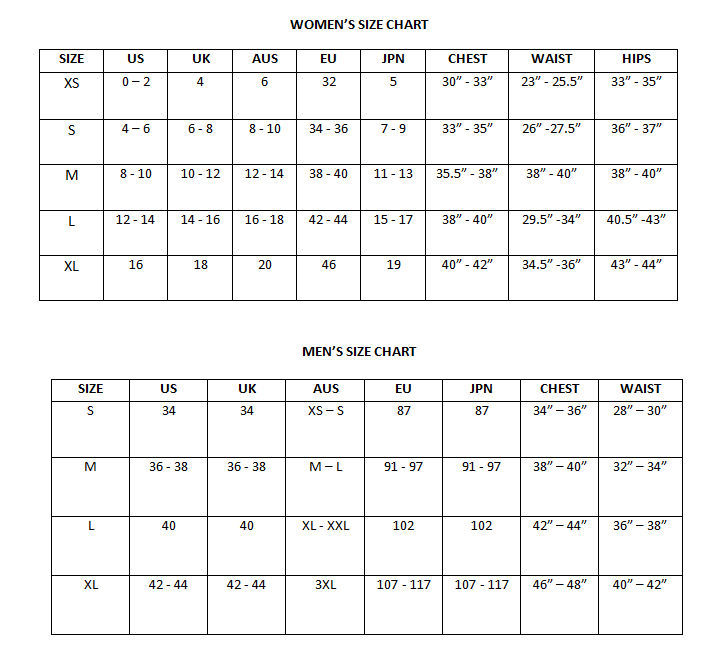 Care Instructions: This crib canopy is machine washable at 30 C after removing the metal rim.